Bastion is on my list of things to do, and Steam made it a lot easier with their $5.99 Bastion Sale (60% off) (which ends later today). It’s a great deal for Mac gamers, and I’ll be posting a review of this cool-looking RPG in the near future. Some might be curious about Steam-specific info, and I thought I’d post it. For now, I just wanted to toss out a few things about the Steam download. These don’t apply to purchasing Bastion in the Mac App Store, although the size required may. Speaking of that, it takes up about 1.2 GB of hard drive space, and the max resolution is 1920×1200. 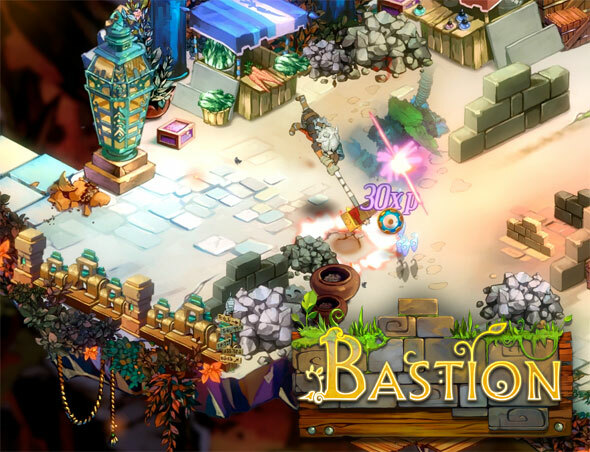 Nothing wrong with that – Bastion is based on hand-painted artwork and it is gorgeous and has a very unique style that, to my untrained eye, looks to be watercolor-inspired. My average download speed from Steam was 2.2 MB/S – a fairly quick download for me. Steam is good about delivering its content quickly. Note that you not only get the Mac version, but the PC version as well should you want to load up any of your Steam games on a Windows desktop. One of the things that most, if not all games delivered through Steam have, are the Steam gameplay achievements. Love them or hate them, they are there. Unlike a lot of Steam achievements, the Bastion achievements are actually pretty meaningful as far as measuring how much of the game you have covered. If you’re one of those people who like to complete a game as much as possible, the Steam achievements will give you a handy measuring stick. * Whatever’s Out There – Complete the Kid’s Dream with five or more Shrine Idols invoked. * Just Like That – Complete the Kid’s Dream with all ten Shrine Idols invoked. * Lock Yourself In – Complete the Singer’s Dream with five or more Shrine Idols invoked. * Calamity All Around – Complete the Singer’s Dream with all ten Shrine Idols invoked. * A Lasting Peace – Complete the Survivor’s Dream with five or more Shrine Idols invoked. * Ashes in the Sky – Complete the Survivor’s Dream with all ten Shrine Idols invoked. * All in the Mind – Complete the Stranger’s Dream with five or more Shrine Idols invoked. 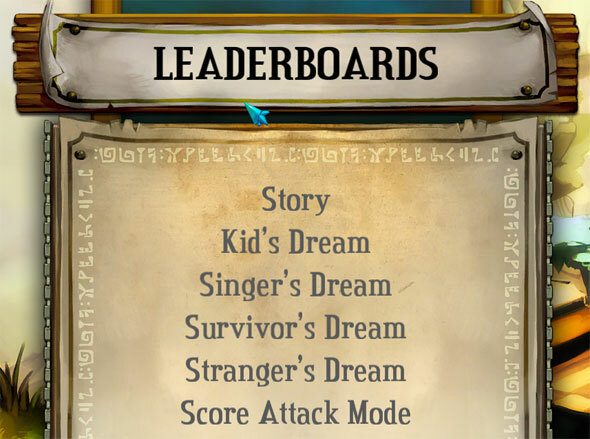 * About the Author – Complete the Stranger’s Dream with all ten Shrine Idols invoked.